Last Updated: January 24, 2019 By Katie 10 Comments -- Paid Promotion. Disclosure policy here. 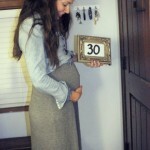 Yes, I included this in the first trimester must haves, and it will be in the third trimester must haves as well. BECAUSE, COFFEE. Just be sure to follow your doctor’s recommendations for caffeine intake. Thankfully, I personally have not experienced heartburn (knock on wood), but I know it’s a very common side effect of pregnancy, and Tums is one of the only preg-safe products you can take. With my expanding waistline, I have absolutely no patience for anything with a waist that cuts off my circulation or leaves stupid lines, thankyouverymuch. I have pretty much sworn off all of my pajama shorts and instead gone for mumu-type dresses. THEY ARE THE BEST. I love this one. This one is also SO cute. I have both regular maternity leggings (these are my faaaaaves) and workout ones, too! Let me tell you, they are a GAME CHANGER. No uncomfortable cutting off of circulation, no marks and no muffin top. A must have! Since booze is out of the question, it’s still nice to feel fancy, right? I love drinking sparkling water infused with fruit, or trying out different flavored soda and whatnot. Bonus points for pouring it into a champagne flute! I’m loving strawberry Perrier and grapefruit La Croix. These shaping shorts prevent chafing, provide belly support and smooth out your curves. 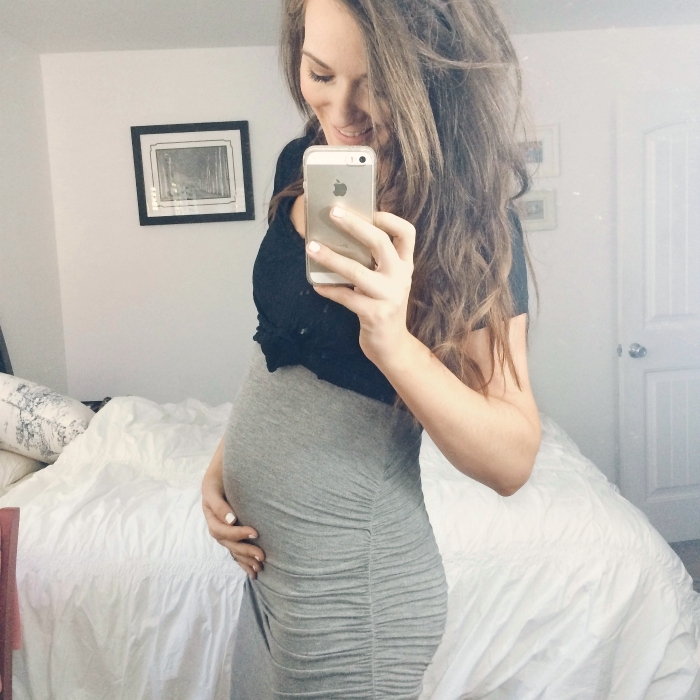 I always wear bike shorts underneath dresses and skirts, and these are great for maternity! Plus, they’re so stretchy I’ve already been wearing them, they smooth everything out, and they are so comfortable. I’ll be getting a lot of use out of them this pregnancy. 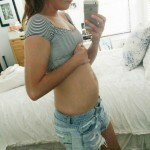 What are your second trimester must haves? Is it just me or is your pregnancy just flying by this time? GIRL it is NOT just you! It really is! I cannot even believe I’m nearly halfway through! Haha COFFEE MUST be in all caps!! ;) Glad I’m not alone in my picks! 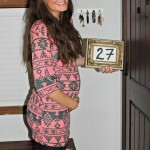 You have the cutest baby bump, ever. & this post makes me really thirsty for more iced coffee. I also agree with Cheri, this one seems to be flying by! I’m 27 weeks, and I’ve been looking for some good pregnancy shape wear. Just ordered the Belly Bandit Thighs Disguise — thanks for sharing! I’m in LOVE with iced coffee. I always thought that you couldn’t have coffee during pregnancy. If you can, HELLO, why haven’t I been drinking it every day!? lol How much is safe to have daily? I definitely recommend always asking your doctor things like this, but mine told me two cups of coffee a day is just fine! :) I always have one.